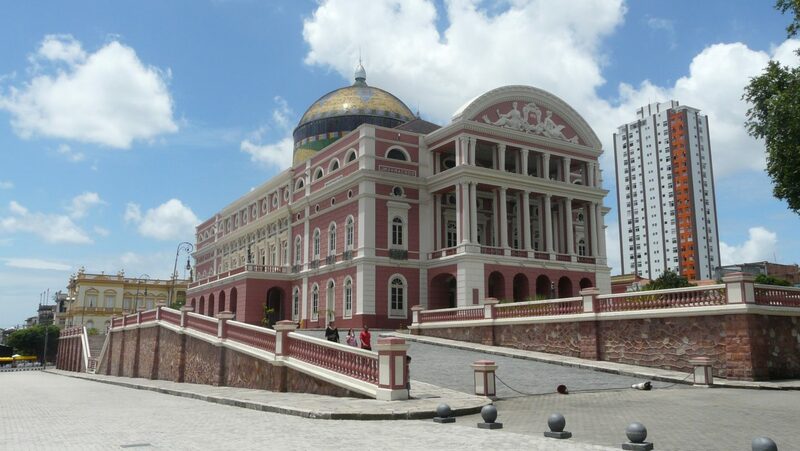 Inaugurado em 1896, O Teatro Amazonas é o cartão-postal da cidade de Manaus. 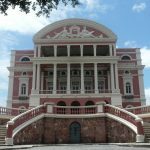 Repleto de história e significado o Teatro demorou mais de 15 anos para ser construído com o trabalho de vários arquitetos, engenheiros, pintores e escultores vindos da Europa. Além disso quase todo material foi importado da Europa. 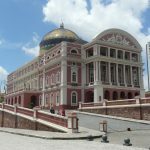 Somente a madeira veio do Brasil, mas precisamente da Bahia, não sem antes viajar de barco a Europa para ser trabalhada. 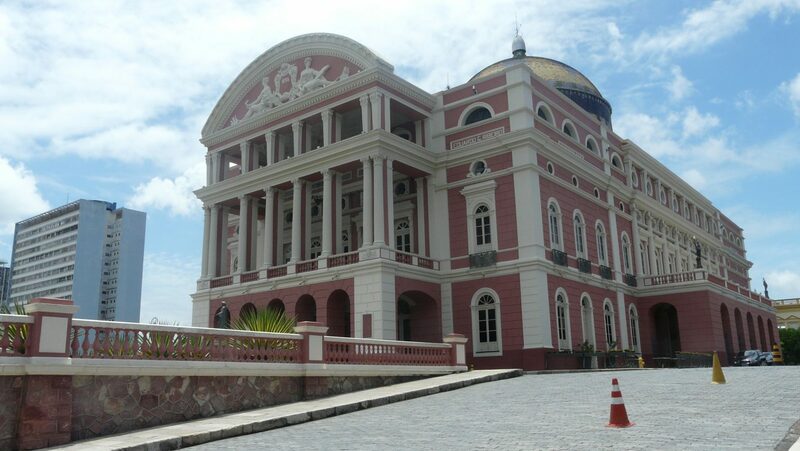 Desde sua inauguração grandes óperas atravessaram o mundo para apresentação no palco do majestoso teatro. Na platéia os barões da borracha assistiram a importantes espetáculos europeus em plena selva amazônica. 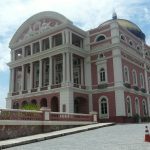 É considerado um dos mais belos teatros do mundo e ainda abriga um museu interno que conta sua rica história. 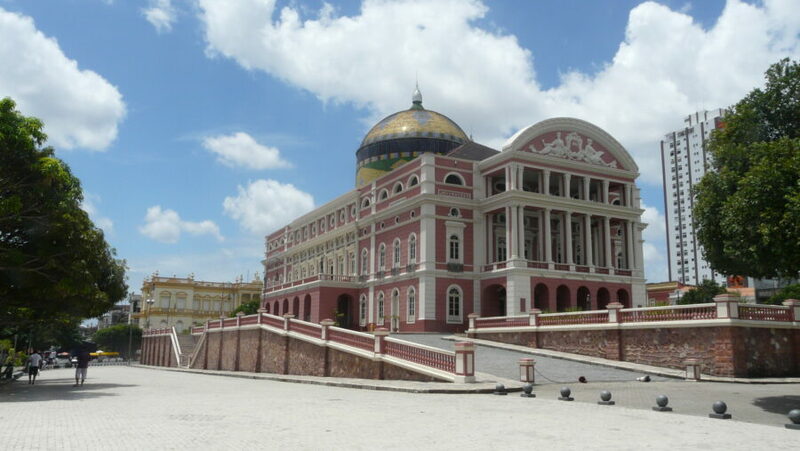 The Opera House, inaugurated in 1896, is one of the most important attractions to see in Manaus. 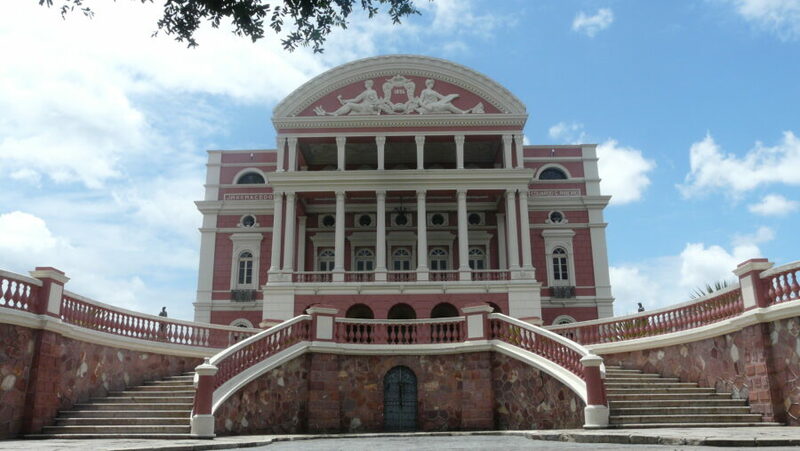 Full of history and meaning to Manaus society the Opera House took more than 15 years to be built and included the work of several European architects, engineers, painters and sculptors. Nearly all off the material used in the construction were also imported from Europe. 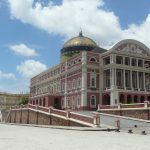 Only the wood was brought in from Brazil, more precisely from Bahia, however the wood was shipped to Europe to be worked. Since its opening, grand operas crossed the world to present onstage at the Majestic Theatre. In the audience were the rubber barons that attended major European shows in the Amazon jungle. It´s considered one of the most beautiful Theatres in the word and has itself inside a museum that tell its fabulous history.